America’s biggest rock festival has set a huge standard when it comes to selling out tickets. 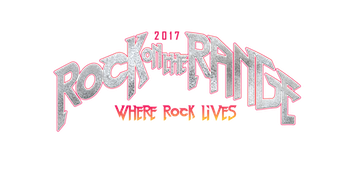 For the fifth consecutive year Rock On The Range has had an advance sell-out show; in record time, at that. The three-day festival held at the MAPFRE Stadium in Columbus, OH has sold out only one month after going on sale! With a line-up that includes, Metallica, Soundgarden, Korn, and the original members of +LIVE+, it was pretty much a guaranteed sellout. 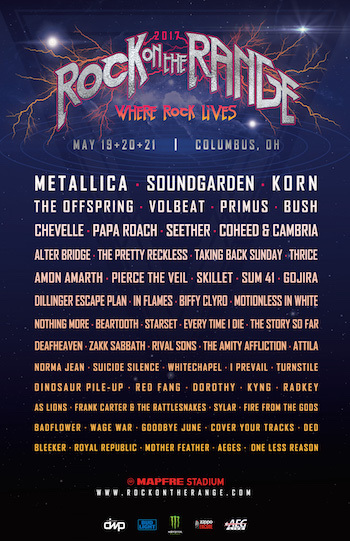 Other amazing acts include The Offspring, Volbeat, Pierce The Veil, Sum 41, Skillet, Dillinger Escape Plan, Dinosaur Pile-Up, Zakk Sabbath, & Rival Sons to name only a few! As always the festival has brought in some amazing sponsors including Monster Energy, Bud Light, and Zippo. Expected interactive fan experiences are to be artist meet and greets, and other phenomenal activities to keep the fans at a high level of excitement! For more info about the festival, its sponsors, and where to stay check out their website here!